Dr. Margaret Washburn grew up on a farm in Eastern Virginia, where she naturally became interested in animals of all types. She attended Virginia Tech for her undergraduate, as well as her veterinary education. 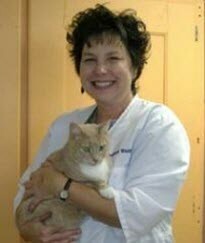 She graduated vet school in 1986 and started her career in a mixed practice in North Carolina. In 1987, she moved back to VA and married her husband, Richard, while starting practice in a small animal clinic in the West End of Richmond. After five years as an associate, Dr. Washburn found an ideal location that would allow her to fulfill her dream of starting her own high quality veterinary practice; hence Goochland Animal Clinic was founded in the spring of 1991. Dr. Washburn practices traditional western medicine and surgery but is also excited about being able to incorporate complementary medicine such as animal chiropractic and acupuncture into her practice. She was certified as a Doctor of Chiropractic Medicine in May of 2002 and was recently certified in acupuncture at the Chi Institute of Traditional Chinese Medicine. When not in the clinic, Dr. Washburn is busy keeping up with her two teenage children, Larkin, 20, and Riley, 18. Their family has a menagerie of animals, including an African Grey Parrot and a donkey. When the rare opportunity presents itself, Dr. Washburn and her family love to escape to the beach. Dr. Tamara Leopold, born and raised in Virginia Beach, returned to her home state of Virginia after two years of veterinary practice in Durham, North Carolina. She earned her doctorate from the Virginia-Maryland Regional College of Veterinary Medicine at Virginia Tech and received her undergraduate degree from James Madison University. She enjoys both medicine and surgery, but is especially interested in strengthening the bond between pets and their people, as well as excelling in soft tissue surgery. In her free time, Dr. Leopold enjoys spending time with her husband and new baby girl, Kelsey. Dr. Brandi Layton was born and raised on a farm right here in Goochland County, spending most of her time on the back of her horses. At the age of 5, she announced to her family that she was going to be a veterinarian when she grew up. Aside from life on the farm, she followed in her family’s footsteps and became a volunteer firefighter and EMT for the county. She attended Virginia Tech for her undergraduate education. In May 2011, she graduated from the Virginia-Maryland Regional College of Veterinary Medicine. 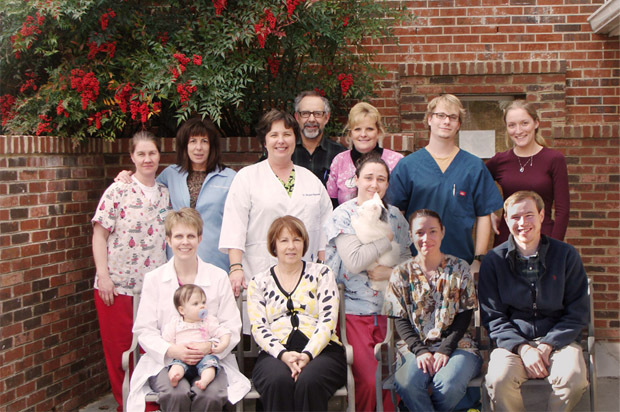 Dr. Layton came to join Goochland Animal Clinic in October 2011. 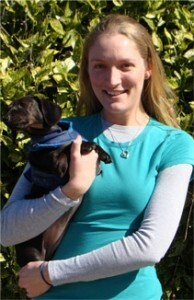 She enjoys all aspects of veterinary medicine, and has a special interest in emergency medicine and soft tissue surgery. Outside of work, she values spending time with her family, engaging in outdoor activities, riding her horses, and enjoying the company of her own dogs and cat. Sheryl Flory loves her job. 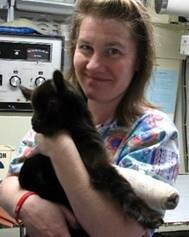 She has been working in veterinary clinics since 1984. She graduated from Virginia Tech in 1990 with a Bachelor’s degree in Animal Science, then furthered her education by graduating from Blue Ridge Community College with a degree in Veterinary technology, her intentions toward veterinary nursing. She and her husband, Bill, have one daughter, Ivy, who is their challenge at this time. They’re kept company by their dog, Cotton, four cats, and a rooster. She also takes great pleasure in working with indoor and outdoor plants.